Developers want to create four “villages” and a “high street” on a 77-acre site. The scheme, straddling the boroughs of Kensington and Chelsea and Hammersmith and Fulham, is expected to take 20 years to complete. Developers Capital and Counties said the plans will create 7,500 homes and thousands of permanent jobs. But campaigners from Save Earl’s Court West Kensington & Gibbs Green estates said the “greedy scheme” will lead to thousands of job losses. Members of Kensington and Chelsea’s planning committee approved the project at their meeting on Tuesday evening. 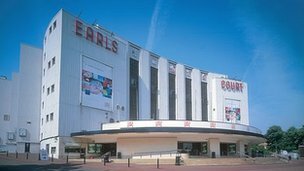 Councillor Paul Warrick, who chaired the meeting, said: “Redeveloping Earls Court to provide much-needed housing and other uses has been our policy for many years. Community organiser for the campaign group Jonathan Rosenberg said: “Last night’s decision completes the alignment of residents and businesses who will be damaged by this greedy scheme. “The destruction of trade and industry, the loss of thousands of jobs and the demolition of such an iconic part of our heritage in favour of luxury flats is a disgrace.